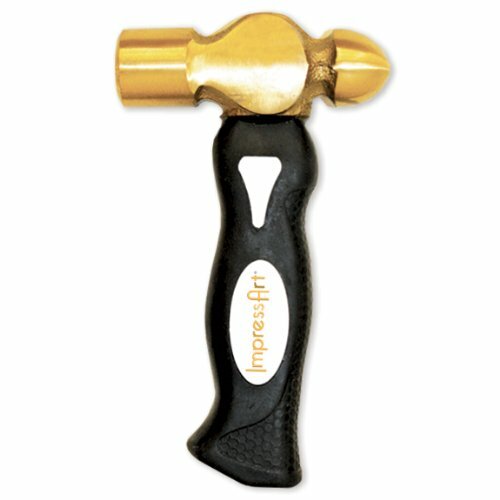 ImpressArt's metal stamping hammer is the first hammer ever to be designed specifically for metal stamping. Its scaled down ergonomic handle makes the hammer easy to handle and ensures force and accuracy. The 1 pound brass head is designed to prevent double impressions and protects your metal stamps so they'll last longer.